On April 25, 1999, ten thousand Falun Gong practitioners gathered outside Zhongnanhai, the guarded compound where China's highest leaders live and work, in a day-long peaceful protest of police brutality against fellow practitioners in the neighboring city of Tianjin. Stunned and surprised, China's leaders launched a campaign of brutal suppression against the group which continues to this day. 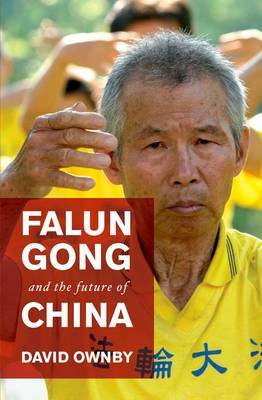 This book, written by a leading scholar of the history of this Chinese popular religion, is the first to offer a full explanation of what Falun Gong is and where it came from, placing the group in the broader context of the modern history of Chinese religion as well as the particular context of post-Mao China. Falun Gong began as a form of qigong , a general name describing physical and mental disciplines based loosely on traditional Chinese medical and spiritual practices. Qigong was "invented" in the 1950s by members of the Chinese medical establishment who were worried that China's traditional healing arts would be lost as China modeled its new socialist health care system on Western biomedicine. In the late 1970s, Chinese scientists "discovered" that qi possessed genuine scientific qualities, which allowed qigong to become part of China's drive for modernization. With the support of China's leadership, qigong became hugely popular in the 1980s and 1990s, as charismatic qigong > masters attracted millions of enthusiastic practitioners in what was known as the qigong boom, the first genuine mass movement in the history of the People's Republic. Falun Gong founder Li Hongzhi started his own school of qigong in 1992, claiming that the larger movement had become corrupted by money and magic tricks. Li was welcomed into the qigong world and quickly built a nationwide following of several million practitioners, but ran afoul of China's authorities and relocated to the United States in 1995. In his absence, followers in China began to organize peaceful protests of perceived media slights of Falun Gong, which increased from the mid-'90s onward as China's leaders began to realize that they had created, in the qigong boom, a mass movement with religious and nationalistic undertones, a potential threat to their legitimacy and control. Based on fieldwork among Chinese Falun Gong practitioners in North America and on close examinations of Li Hongzhi's writings, this volume offers an inside look at the movement's history in Chinese popular religion.